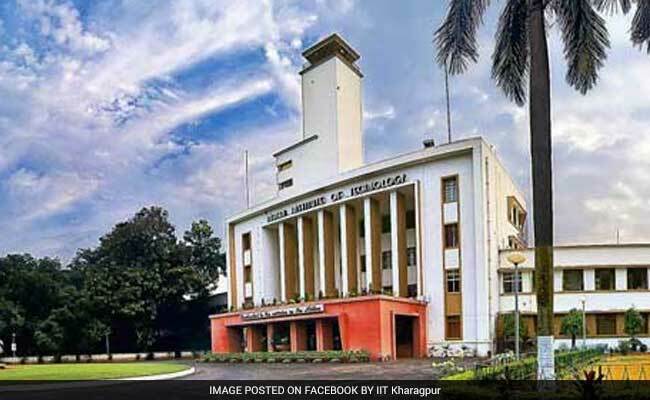 Scientists at the civil engineering department of IIT-Kharagpur have developed an award-winning bio-toilet that recycles waste water for its reuse and generates electricity. Kolkata: Scientists at the civil engineering department of IIT-Kharagpur have developed an award-winning bio-toilet that recycles waste water for its reuse and generates electricity. The project has received honours from Prime Minister Narendra Modi at the 'Swachh Bharat Award' event for its one-of-its-kind technology, an IIT-KGP statement said here today. The scientists have already built a test case, funded by the Department of Science & Technology (DST) of the Union government. The model, with a capacity of 1500 litre, has been installed on the institute's campus, it said, adding that any five people can use it every day. "It (the project) furthers the Prime Minister's goal of providing people access to clean toilets," Professor MM Ghangrekar, the lead researcher, said. Indrasis Das, a PhD scholar, is "working hard to make the project user-friendly", along with other researchers, he said. The National Thermal Power Corporation (NTPC) has asked the scientists to set up a prototype of the self-sustainable toilet in rural Noida, the statement said. The bioelectric toilet consists of a six-chambered reactor, in which the waste water will be rotated in clockwise and anti-clockwise directions for its reuse. The water will also generate power and light up the toilet cabin at night, besides charging smart devices such as mobiles and tablets, Prof. Ghangrekar said. "We should understand why toilets are not being used in many parts of the country, particularly at night. Sometimes, there is a scarcity of water, because of which the toilets get dirty. By recycling the water, we are ensuring that the toilet never runs dry," he added.